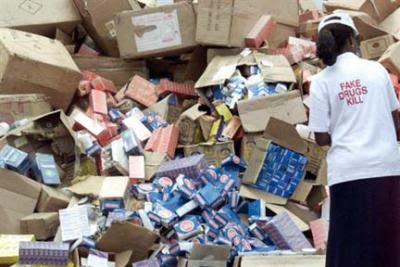 The National Agency for Food, Drug Administration and Control (NAFDAC) in Enugu says it has confiscated unwholesome and unregistered sedative drugs worth more than N25 million. The State Co-coordinator of the agency, Mr Ikechukwu Okoye, told the News Agency of Nigeria (NAN) on Monday that the agency was able to achieve that through collaboration with the state Command of the Nigeria Customs Service. “To the glory of God; what really happened is inter-departmental (agency) co-operation. “The customs in Enugu called us they intercepted this (controlled drug) via (Dizapam) Cameroon border were they found a controlled drug. “They called us to come and check if it was within our jurisdiction; we checked it, we found out that the product was not registered by NAFDAC and the person (importer) was bringing it in illegally. “So they handed it over to us to be destroyed. “The comptroller said that they were bringing it in via the land border in Cross River.